Focus on short lessons that you find yourself repeating frequently. Repurpose and modify existing content: PowerPoint slides saved as images can be transformed into a video. Try different styles of video for different purposes: video tours, “talking head” videos, animations and screen capture tutorials are a few of the possibilities. Keep your videos short. Better to have three short and purposeful videos on different aspects of a skill than expect students to stick with a long and complex lesson. Be a learner yourself. Give yourself permission to tinker, experiment, fail and learn as you start your flipped library project. Collaborate within the community of teacher-librarians in your district to create videos for everyone, and share them out. 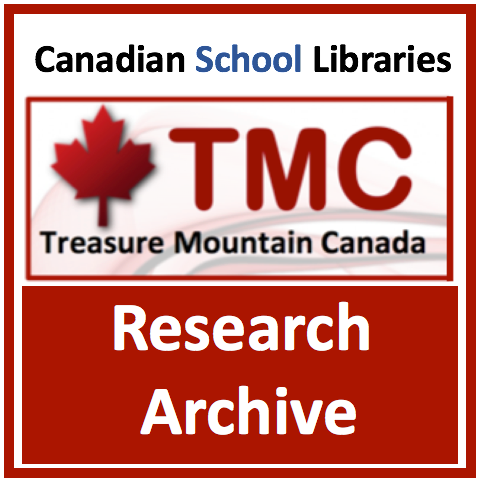 Partner with teachers on procedural writing, and have students create videos to teach basic library tasks. Once you are more confident, start using a flipped approach for more specific topics and customized to meet the needs of a particular course or group of students. Put Your Slides Online: Repurpose your existing slide presentations and make them more visible online. Upload PPT slides to SlideShare or create presentations with Google Slides. Embed the presentation in your website to make it immediately visible. Live Video & Video Editing Software: Shoot live video with your phone or camera. Take a tour, conduct an interview, be a ‘talking head’ – as simple as uploading directly from your phone! Increase its sophistication (and likely its impact) with better camera and sound equipment, varied shooting techniques and locations, and incorporating titles, graphics and animations using video editing software. Your options? Example: Combine techniques. This video combines “talking head” segments with animations created with PPT slides saved as images. Example: Introduction to TPL staff workshops by AnitaBK on using iPads with school-age children. Animation: Use online animation software like Powtoon to add a bit of humour to your lessons. Extension: Use video to connect to other teachers. 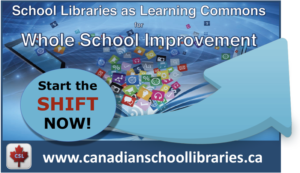 Focus on student learning and the unique value proposition of the teacher-librarian and the school library learning commons. It’s all fine and well to create videos, but your students and teachers need to see them, at the point of learning. 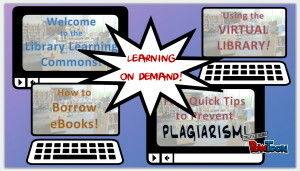 Make the videos visible in the physical environment of the library: show videos on a large monitor / make signs to direct students to ‘how-to’ videos in the space where they might need them. Consider accessibility. Captioning and other accessibility options make your videos useful for all students. Have a look at Seneca College Library’s accessibility testing for its online video tutorials. Copyright: Do you have permission to use the images and music in your video? Are you modelling good digital citizenship to your students and fellow teachers? 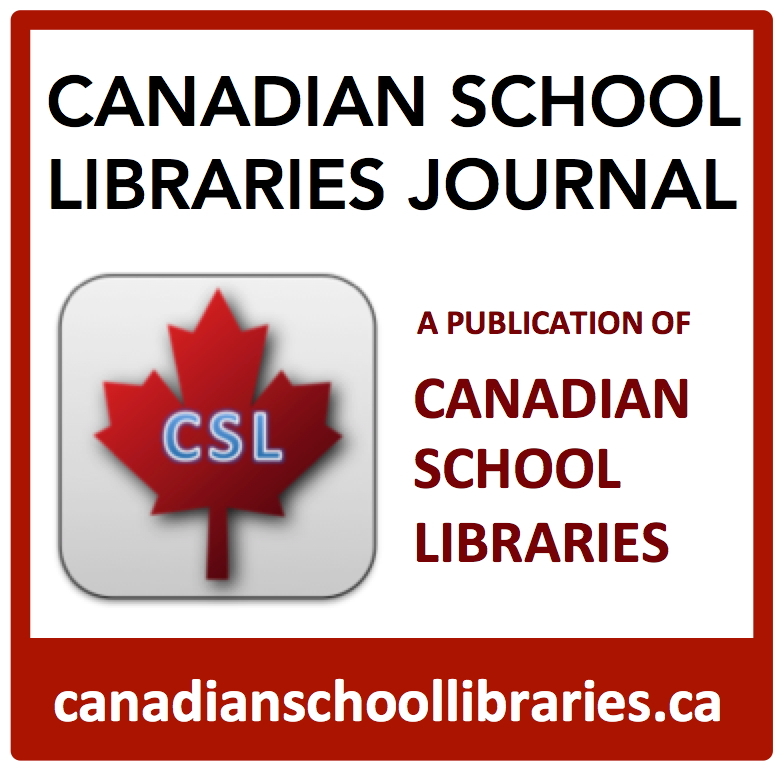 Learn more about copyright in the WRDSB Library Learning Commons webpage, Copyright Explained. Internet Archive: Provides access to huge collection of digitized archival materials. Flickr, The Commons: A vast archive of historical images, mostly in the public domain, shared by a large group of museums, libraries and archives. Flickr, Creative Commons: Images shared under Creative Commons licensing by Flickr users. Be sure to check the permissions for each individual image. Pixabay: High quality images shared under Creative Commons CC0 licensing – released into the public domain. Incompetech Music: Royalty-free music files. Student Privacy: If you are shooting video of students, using their work as examples, or having students create videos, make yourself aware of student privacy policies in your school district. Consult with your school’s principal about creating permission/release forms, if appropriate and in compliance with board policy. Video Sharing Platforms: YouTube is generally the default platform for sharing online video. If YouTube is blocked in your school district, investigate using Vimeo or SchoolTube.